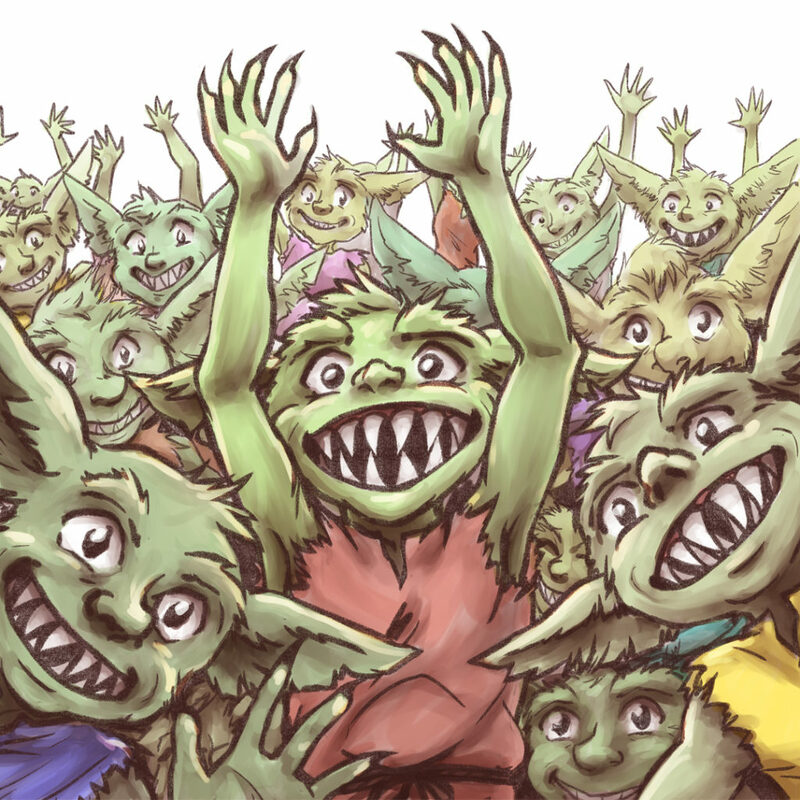 The goblins are a horde of the friendliest thieves you’ll ever have the pleasure of being robbed by! These lovable green henchmen of the dreaded King Dragon are as polite as they are smelly…and they are very smelly. A goblin’s skin is typically a greenish color. Your average goblins stands at about three feet tall. Green Knight has theorized that the reason the goblins follow King Dragon is because he is the loudest individual in the Kingdom. Goblins don’t seem to have genders…or perhaps they do, but nobody can tell the difference.